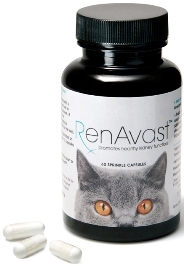 RenAvast™ is may help halt the progression of Chronic Renal Failure (CRF) in cats and improve overall kidney function. AminAvast™ (Previously RenAvast) is a highly effective compound, that has been proven through a two-year clinical study to halt the progression of Chronic Renal Failure (CRF) in cats and improve overall kidney function. It is 100% safe with no side effects. AminAvast™ contains Avastamine™. Avastamine™ (AB070597) is a combination of naturally occurring amino acids and peptides that have been scientifically proven in an open-ended two year clinical study to supplement and promote healthy renal function. Unlike other products and drugs, RenAvast™ does not treat the symptoms of renal failure, it treats the cause. 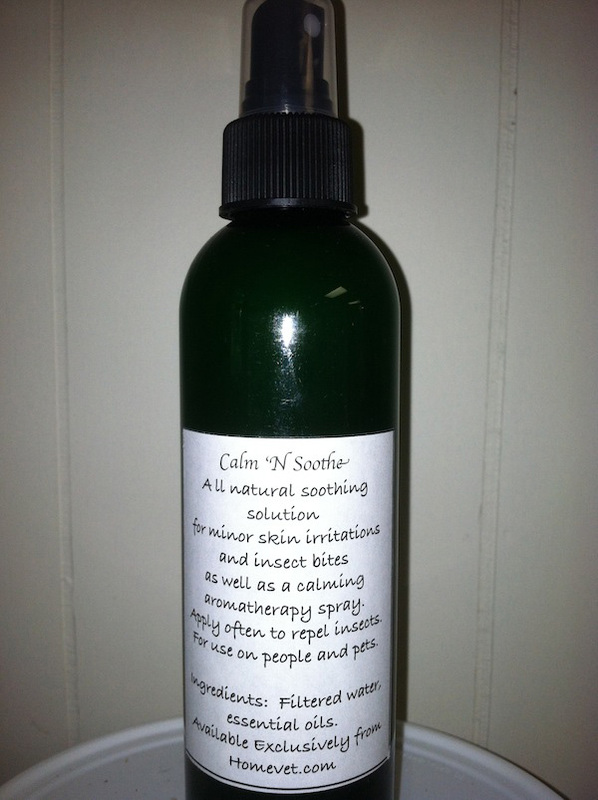 Cats have seen improvement to their kidney function within weeks of starting AminAvast™. 1. How long should my cat be on RenAvast™? We suggest you keep your cat on RenAvast™ for their entire life. Chronic renal failure is a progressive disease that does not improve on its own and will only worsen if left untreated. RenAvast™ has been proven in a clinical study to halt the progression of chronic renal failure in cats. In some cases, kidney function returned to normal. In addition, when RenAvast™ was withheld from some study subjects, kidney function declined but then improved again once RenAvast™ was resumed. Therefore, to prevent relapses, keep your cat on RenAvast™ for their entire life. No, there are no side effects. RenAvast™ is a 100% safe compound. 3. My cat is on other medications. Can I still give her RenAvast™? Absolutely! There are no drug interactions or concerns about giving RenAvast™ while on other medications. 4. How do I administer RenAvast™? 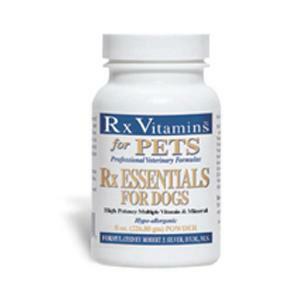 RenAvast™ is a highly palatable powder that you mix with your cat’s food twice a day. 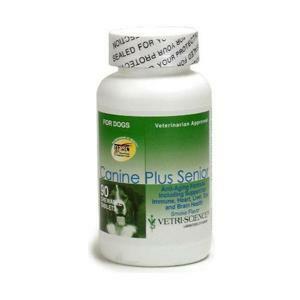 It has a taste that your pet will eat without hesitation click here to see video on how to administer. 5. How long will it take for RenAvast™ to start working? treatment and show positive results within a few weeks. 6. How will I know RenAvast™ is working? Some cats start to show physical improvement (weight gain, coat improvement, increased appetite, etc.) soon after starting RenAvast™, but the best way to monitor kidneys is through a blood test. Consult your veterinarian to determine how often to test your cat’s kidney function. Many veterinarians recommend a blood test and examination every 6-12 months (more frequently for animals with health conditions). 7. Have there been any clinical studies? There was a very comprehensive two-year clinical study involving a large number of cats. All individuals in the study benefited by taking RenAvast™. Read the full research study. 8. Should I also give my cat subcutaneous fluids? Subcutaneous fluids can be very helpful for some animals with chronic renal failure. You should consult your veterinarian prior to administering fluids, however, because some animals, especially those with cardiac problems, cannot tolerate excess fluids. 9. My cat also has hyperthyroidism. Should he be on RenAvast™? 10. My cat is on a Potassium supplement, will this conflict with RenAvast™? No, there’s no conflict (contraindication) in administering RenAvast™ along with a potassium supplement to cats. We recommend that you review some articles through a Google search to help understand the implications of hypokalemia (low potassium) in cats. Hypokalemia can cause serious cardiac and muscular problems if not regulated and monitored correctly. There are several physical warning signs in cats that can alert the guardian to impending emergency situations. Once a cat starts a potassium supplement, the guardian should schedule a follow up examination with their veterinarian after 1-2 weeks of supplementation to measure the blood serum potassium level. Often a potassium supplement is added to a cat’s diet and the guardian or veterinarian fails to monitor the levels later on, which sometimes results in hyperkalemia (high potassium), which is life threatening and can cause cardiac arrest. You can also review scientific articles on www.pubmed.org by using the search terms hypokalemia, feline, and “chronic renal failure“. 11. 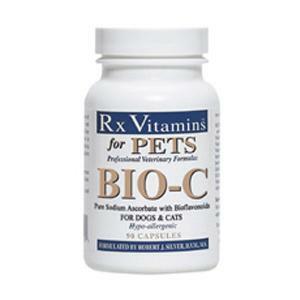 Can I give this to my dog with kidney failure? Yes. We plan to come out with the same product for dogs in the future. However, because kidney failure is much more prevalent in cats, the clinical study focused on cats. We have had dog guardians tell us that their dogs did great on RenAvast™. The dosage would be by weight…one capsule per 10 pounds given twice a day. Mix the contents of the capsule with food the same way as instructed for cats. 12. My cat is super finicky and will not eat her food with the RenAvast™ in it. What can I do? Most cats will eat RenAvast™ in their food with no problems. For those super finicky cats, we suggest getting a type of food that you normally do not feed (We refer to this as “junk food”.) and mix the RenAvast™ with a tablespoon of that food. Only give your kitty that food when she is getting her RenAvast™. If that still does not work, you can get a small syringe (about 3ml). Syringe up about 1.5 ml of water, put that amount of water in small cup, mix with the contents of the RenAvast™ capsule and then syringe back into the syringe. Then, squirt the contents of the syringe into the cat’s mouth. Be sure to squirt into the side of the mouth and never right down the throat. Always syringe slowly to avoid spilling or causing them to choke. RenAvast™ is a combination of naturally occurring amino acids and peptides and is considered a dietary supplement under the Dietary Suppplement Health and Education Act (DSHEA) of 1994. The FDA position on dietary supplements requires that companies that manufacture or distribute dietary supplements determine that they are safe and that any representations or claims made about them are substantiated by adequate evidence to show that those statements or claims are not false or misleading. Dietary supplements do not require FDA approval. See: http//www.csfan.fda.gov/~dms/ds-oview.html. As to the safety of RenAvast™, please see the data provided above in this document. The DSHEA standard is formulated to protect consumers (humans) from false and misleading product claims and to protect them from unsafe and ineffective supplement products. There is no equivalent animal standard. Bio Health Solutions chose to adhere to the higher requirements of DSHEA as a matter of company policy and not as a matter of government regulation. The position was taken to ensure the safety, effectiveness and truthfulness of the company’s claims regarding RenAvast. 14. Is RenAvast™ safe for diabetic cats? Yes. There are many diabetic cats on RenAvast™ who are doing very well. There are no adverse reactions with RenAvast™ and any drugs. 15. When should I re-check my cat’s blood work? Testing frequency depends on the initial degree of chronic renal failure. Stages* 1 or 2 (creatinine [CREA] = 1.6 to 2.8) should be re-tested in three months. Stages 3 or 4 (CREA = 2.9 to over 5.0) should be re-tested in 1 month. Special attention should be paid to urinary tract infections in Stages 3 and 4. In some cases, your veterinarian may require more or less frequent testing. Although 89.9% of cats in the RenAvast™ clinical study had CREA and BUN values that improved or did not deteriorate, each cat is an individual and the response time to RenAvast™ may vary. Stabilization of CREA and BUN values represents an excellent result considering the progressive nature of the disease. A decrease in those values, however, is even better. 16. Should my cat be on a protein restricted diet? Cats are obligate carnivores and therefore any restriction of protein can have a negative effect on health. Restriction is appropriate when creatinine rises near or above 4.0 or if there are obvious signs of uremia. Restricted protein helps relieve some of the symptoms or uremia and can be used as a tool to maintain appetite while other measures are taken to improve kidney function. Please read this quotation from the Merck Veterinary Manual regarding protein restricted diets. 17. Can RenAvast™ help cats with Polysistic Kidney Disease (PKD)? The mechanisms of renal tissue destruction differ between PKD and naturally occurring CRF. The net result, however, is that functional renal tissue is lost, which results in decreased synthesis of specific biomolecules by the kidneys (i.e. hormones and protein precursors). Several amino acids in RenAvast™ supplement the decreased production and therefore interrupt the interference with specific metabolic pathways which result from the original decreased synthesis (i.e. protein catabolism). There have been no studies to determine if RenAvast™ is beneficial in PKD, but there is nothing in RenAvast™ that would be contraindicated or that would cause harm. Supplementation with the amino acids and peptides in RenAvast™ would most likely be helpful for the very reasons stated above for CRF. 18. Should my healthy cat who does not have CRF be on RenAvast™ as a prevention for Chronic Renal Failure? Considering that 6 out of 10 cats will die of CRF and 75% of kidney function is lost by the time symptoms appear, we highly recommend placing all healthy cats on RenAvast™. At minimum, all cats 8 years and older should absolutely be on RenAvast™. 19 cats with CRF were enrolled in an open ended 2-year study. The aim of this study was to discover if RenAvast™ is effective in halting the progression of Chronic Renal failure in cats and capable of improving their kidney function. All cats enrolled were diagnosed by their veterinarians with Chronic Renal Failure. None were on restricted diets. None were receiving fluids. All received 300 milligrams of RenAvast™ two times per day. All had periodic blood work to test the effectiveness of RenAvast™. RenAvast™ was highly successful in halting the progression of Chronic Renal Failure and in most cases improved kidney function. * 89.9 % of cats in the study had CREA and BUN values that improved or did not deteriorate. * 94.7% of cats in the study had HCT values that improved or did not deteriorate. * 100% of cats in the study had PHOS and USG values that improved or did not deteriorate. * There were no complaints or concerns regarding administration of RenAvast™. * The majority of cats in the clinical study also showed improved coat, grooming habits, weight gain and increased appetite. * Prolonged use of RenAvast™ caused no adverse changes in laboratory blood tests. * There were no reports of gastrointestinal upset or diarrhea. * Cats whose guardians were non-compliant or missed doses had the least positive results. * Cats whose guardians never missed doses and remained on RenAvast™ had the best results.